"Blockchain technology should be adopted in real-life scenarios rather than only being studied in laboratories, as the problems encountered during practical use can help improve blockchain technology and make new breakthroughs," Onething and Xunlei CEO Mr. Lei Chen told the Boao Forum for Asia Annual Conference 2018 in Hainan Province, China. 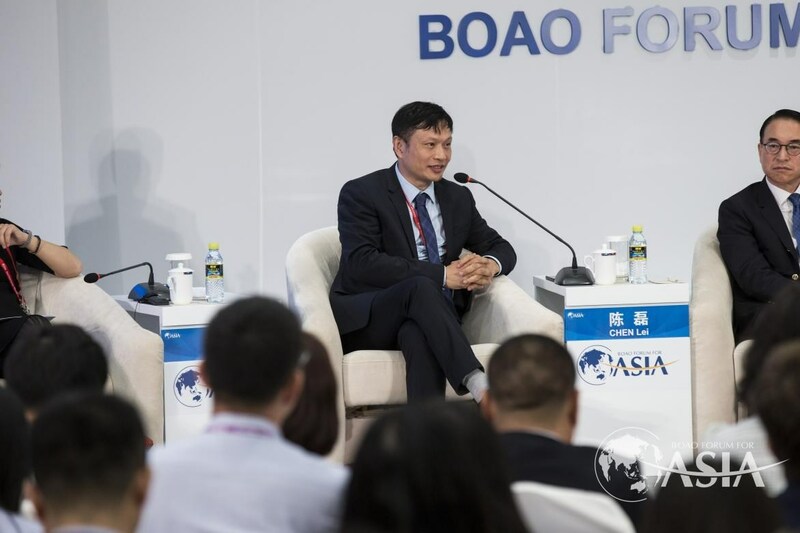 Launched in 2001, the Boao Forum for Asia is a high-level platform which brings together global political leaders, business leaders, economists, and academics annually for important discussions with major implications for the future of Asia and the world. This year's annual meeting has highlighted themes of reform, opening up and innovation. Chinese President Xi Jinping opened the forum on April 10 and delivered a keynote speech. Mr. Lei Chen was participating in a panel on the future of blockchain, titled "Blockchain: In Plain Words and In Practice" on April 10. The discussion was moderated by Deloitte China Blockchain Lab Founder Jennifer Qin and joined by Former Bank of China President Li Lihui, Counselor to People's Bank of China Prof. Finance Sheng Songcheng, Samsung SDS President & CEO Hong Won-Pyo, Visa Chairman Ellen Richey and Inspur Group Chairman & CEO Sun Pishu. At the panel, all participants acknowledged that blockchain should be adopted in other application scenarios beyond financial services, including the logistics, manufacturing and retail sectors. Meanwhile, they also noted the significance of transaction processing capability for any blockchain application platform, which is seen as one of core problems facing the wider adoption of the technology nowadays. According to Mr. Chen, Xunlei is planning to launch an ultra-high-performance blockchain platform, which can process millions of transactions per second. "Such breakthroughs are all driven by customers, developers and enterprises, who demand more adoptions of blockchain to tackle practical issues they have in daily life and work," said Mr. Lei Chen. Regulation on blockchain was another key topic discussed at the panel. "Regulatory and standardization frameworks are urgently needed to promote large-scale adoption of blockchain in business scenarios," said Li Lihui, who heads the Blockchain Research Working Group at China's National Internet Finance Association (NIFA). Mr. Lei Chen and other participants echoed Li's views. "Regulation is essential for the adoption and development of new technologies. What blockchain innovators need for the future are clear regulatory guidelines to follow, to help them unlock the real value of the technology that ultimately benefits customers." Since 2014, Xunlei and its cloud computing subsidiary Onething Technologies have been studying blockchain applications to enhance user experience and value for its corporate and personal customers. The blockchain-based private cloud Onething Cloud was introduced in 2017. In December 2017, Xunlei was named as one of the most outstanding entities in China's blockchain industry in an award which was presented by the China High-tech Industrialization Research Association. Onething Cloud has been named as a Global Blockchain Innovation Product by TMTPost, China's leading business & technology information provider.